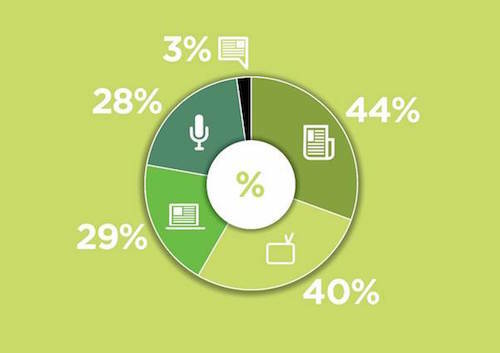 The BBC is the most popular media outlet for MPs, with 65 per cent of politicians revealing that it is their preferred source for news, according to research carried out by Populus on behalf of ON-Broadcast Communications. Conservative MPs are most fond of BBC Radio 4, with 25 per cent stating the station is their primary source of news. Other popular sources are BBC.co.uk, Sky News and The Times. Despite the Daily Mail being having one of the biggest websites in the world and throwing its full weight behind the Conservative Party, only one in 20 Tory MPs say it is their first choice. 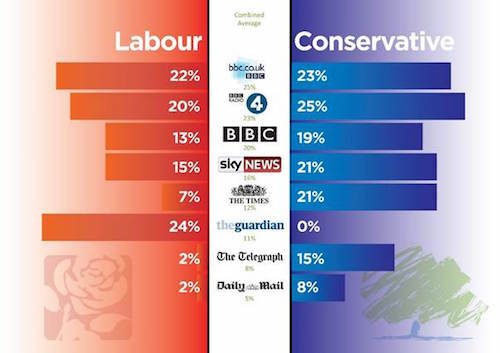 In contrast, the preferred news source for Labour MPs is The Guardian, followed by BBC.co.uk and BBC Radio 4. Newspapers still dominate the attention of MPs, with 44 per cent naming a print title as their leading media source. Social media accounted for just three per cent of MPs. Findings also suggest a huge disparity between the reading habits of MPs and the general public. Popular sites such as BuzzFeed, The Huffington Post and MSN failed to make the list of media viewed by politicians. Gareth Morgan, director at public affairs outfit Cavendish Place Communications, said the results were evidence of the bubble surrounding Westminster and that MPs are concerned with outlets that affect their reputations. He said: "One particularly interesting finding is the level that the BBC polls among Conservative MPs. One of their favourite pastimes it seems is complaining about the left-wing bias of the BBC but even they cannot resist taking a peek at what they are saying, even if it is to fuel their outrage for another day." The research was based on interviews with 103 MPs between January and February 2015. Results were weighted to be politically representative of the House of Commons.